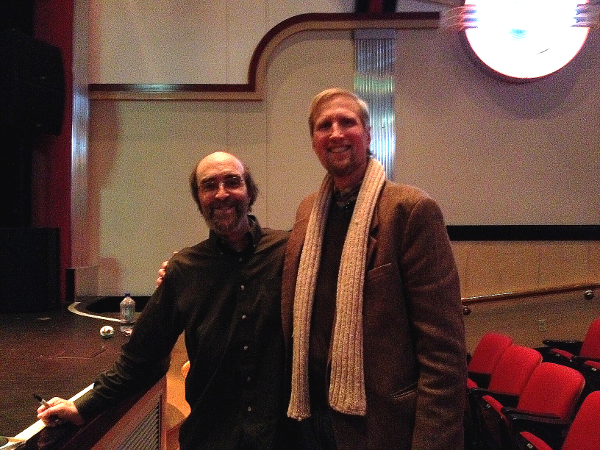 George Winston grew up mainly in Montana, and also spent his later formative years in Mississippi and Florida. During this time, his favorite music was instrumental rock and instrumental R&B., including Floyd Cramer, the Ventures, Booker T & The MG’s, Jimmy Smith, and many more. Inspired by R&B, jazz, Blues and rock (especially the Doors), George began playing organ in 1967. In 1971 he switched to the acoustic piano after hearing recordings from the 1920s and the 1930s by the legendary stride pianists Thomas “Fats” Waller and the late Teddy Wilson. In addition to working on stride piano, he also at this time came up with his own style of melodic instrumental music on solo piano, called folk piano. 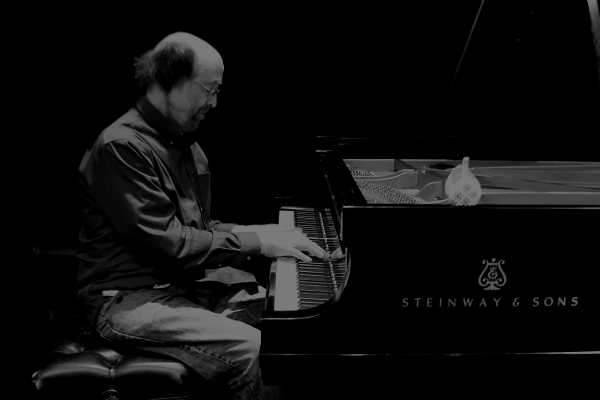 Since 1972, George has released thirteen solo piano albums. His most recent albums are GULF COAST BLUES & IMPRESSIONS 2- A LOUISIANA WETLANDS BENEFIT (2012) and LOVE WILL COME-THE MUSIC OF VINCE GUARALDI VOL 2 (2010). 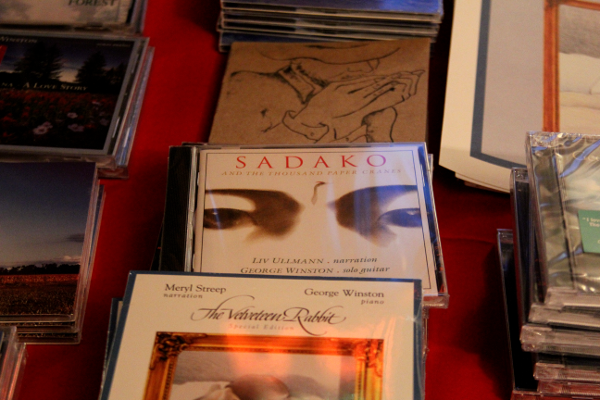 He also recorded the soundtracks for three video projects produced by the late George Levenson of informed Democracy (www.informeddemocracy.com ): a solo guitar soundtrack for SADAKO AND THE THOUSAND PAPER CRANES, as well as piano, guitar and harmonica solos for PUMPKIN CIRCLE and BREAD COMES TO LIFE. 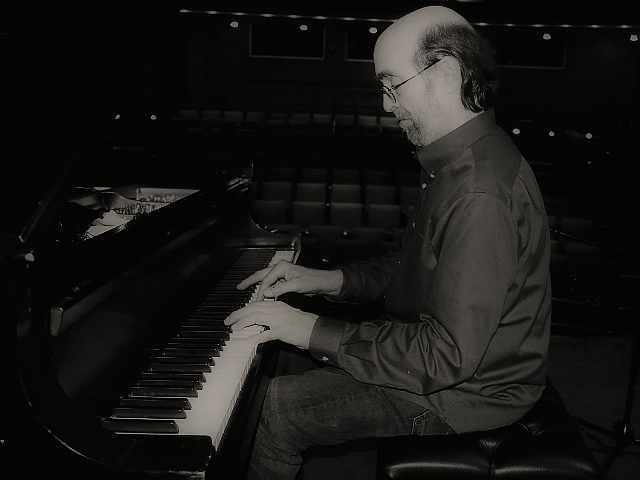 In addition, he recorded the solo piano soundtrack for the Rabbit Ears video of the children’s story, THE VELVETEEN RABBIT (www.rabbitears.com ), and the soundtrack for the Peanuts episode, THIS IS AMERICA CHARLIE BRWON: THE BIRTH OF THE CONSTITUTION. 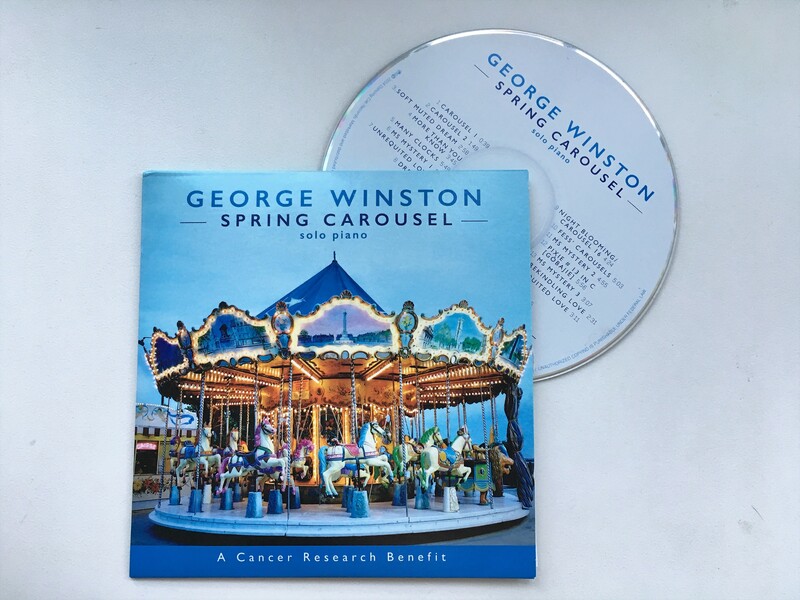 George is presently concentrating mainly on live performances, and most of the time he is touring, playing solo piano concerts, (the Summer Show or the Winter Show), solo guitar concerts, solo harmonica concerts, and solo piano dances (with R&B and slow dance songs). He is currently most inspired by the great New Orleans R&B pianists Henry Butler, James Booker, Professor Longhair, Dr.John, and Jon Cleary; and he is also working on interpreting pieces on solo piano by his favorite composers, including Vince Guaraldi, Professor Longhair, and the Doors, as well as Dr. John, Allen Toussaint, Ralph Towner, Sam Cooke, Randy Newman, Al Kooper, Jimmy Wisner, Arthur Lee, Frank Zappa, Rahsaan Roland Kirk, John Coltrane, Milt Jackson, Cal Tjader, John Hartford, Oliver Schroer, Taj Mahal, Henry Butler, James Booker, Jon Cleary, Philip Aaberg and others, to play at concerts, and at his solo piano dances. George is also working on solo guitar, and is recording the masters of the Hawaiian Slack Key guitar for an extensive series of albums for Dancing Cat Records (www.dancingcat.com ). Slack Key is the name for the beautiful solo fingerstyle guitar tradition, unique to Hawaii, which began in the early 1800s and predated the steel guitar by over half a century. He is also recording his main inspirations for his harmonica playing – Sam Hilton, Rick Epping, and Curt Bouterse. ◇Songs listed with the recordings are ones that George often plays in concert. 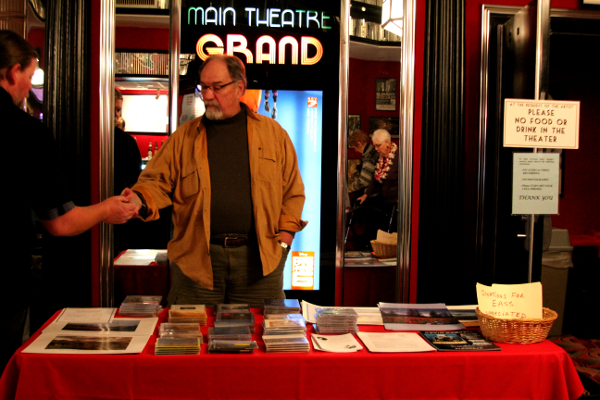 ◇To see liner notes for these albums, go to http://www.georgewinston.com, then “Recordings,” then “Liner Notes”. -includes Bouquet 1 (More Than You Know), Bouquet 10 (Dream 5), Carousel #19 in G minor, and Pixie 313 in C (Spring & Gobajie –A foggy Day). 2. MONTANA-A LOVE STORY (2004) – includes The Twisting of The Hay Rope, and You Send Me. 3. PLAINS (1999)　- includes Cloudburst (played in the middle of the song Carol Of The Bells). 5. SUMMER (1991) – includes Fragrant Fields. 6. DECEMBER (1982) –includes Thanksgiving, and Carol Of The Bells. 7. WINTER INTO SPRING (1982) – includes Rain. 8. AUTUMN (1980) – includes Colors, and Moon. 9. LINUS & LUCY – THE MUSIC OF VINCE GUARALDI (1996) – includes Linus &Lucy, The Great Pumpkin Waltz, Charlie Brown’s Thanksgiving, and Skating. 10. LOVE WILL COME- THE MUSIC OF VINCE GUARALDI, VOL.2 (2010)- includes Time For Love, Be My Valentine Charlie Brown, Love Will Come, You’re elected Charlie Brown, and Little Birdie. 11. GULF COAST BLUES & IMPRESSIONS – A HURRICANE RELIEF BENEFIT (2006) – includes New Orleans Shall rise Again, Pixie, and Pikie #3 (Gobajie). 12. GULF COAST BLUES & IMPRESSIONS 2 – A LOUISIANA WETLANDS BENEFIT (2012) – includes An African In The Americas, New Orleans Slow Dance, and Pixie #6 (Gobajie). music stopped she would respond by singing. 13. NIGHT DIVIDES THE DAY- THE MUSIC OF THE DOORS (2002)- includes Riders On The Storm, and The Crystal Ship. 14. BALLADS AND BLUES 1972 – special edition with 5 bonus tracks. A 7 song EP of piano, guitar and harmonica solos, benefitting those affected by 9/11 and the Feeding America Food Bank- includes, on guitar, Daughters and Sons, and Where the Sun Rises First. Liv Ullmann (narration ) & George Winston (guitar). The guitar solos also appear without the narration in Part 2- includes Birds In Flight (The Boys of Ballisodare). A Studio and live recordings, (Volume 2 is also planned). We have invited a local Food Bank to the venue tonight. They help get food & assistance to people in the surrounding area – many thanks to everyone who was able to participate in the food drive. The proceeds from the CD sales tonight will also benefit this group.